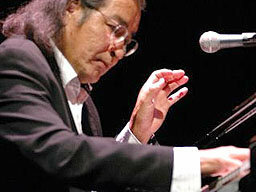 Tomson Highway was born in a snow bank on the Manitoba/Nunavut border to a family of nomadic caribou hunters. He was raised off-reserve, in the spectacularly beautiful natural landscape that is Canada’s sub-Arctic. He had the great privilege of growing up in two languages, neither of which was French or English; but Cree, his mother tongue, and Dene, the language of the neighbouring “nation”; a people with whom they roamed and hunted. Following an education where he earned both a Bachelor of Music and the equivalent of a Bachelor of Arts with an English major, he spent seven years immersed in the field of Native social work. He then combined his education and training and poured himself into writing. Today Tomson enjoys an international career as playwright, novelist, pianist, composer and song writer. Tomson is best known for the of universal hits such as The Rez Sisters, Dry Lips Oughta Move to Kapuskasing, Rose, Ernestine Shuswap Gets her Trout and the best-selling novel Kiss of the Fur Queen. He has also published a number of children’s books, namely Caribou Song, Dragon Fly Kites and Fox on the Ice. His work has been translated into eleven languages. For many years Tomson was Artistic Director of Canada’s premiere aboriginal theatre company, Toronto based Native Earth Performing Arts, from which has emerged an entire generation of playwrights and theatre artists. Tomson is the recipient of ten honorary doctorates and is a member of the order of Canada. His awards and nominations include Dora Mavor Moore Awards, Governor General’s Literary Award, Floyd S. Chalmers Canadian Play Award, Toronto Arts Award, and National Aboriginal Achievement Award. Fluent in Cree, French and English, he continues to write, teach, lecture, and perform across Canada and around the world. Kevin Kerr was born in Vancouver and grew up in Kamloops, British Columbia . He also spent time as a child in Saskatchewan, where his mother’s family lives. He studied theatre at the University of British Columbia and at Studio 58, Langara College, Vancouver. 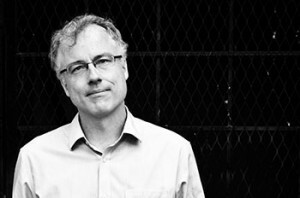 Kevin Kerr is a founding member and co-artistic director of the Electric Company Theatre in Vancouver, a collective with which he has co-written several plays including the early works Brilliant!, The Wake, and The Score. His work with Electric Company emphasizes spectacular physical and visual imagery, cinematic vocabulary, and the quest for authentic connection in an accelerated culture. Brilliant! The Blinding Enlightenment of Nikola Tesla was first produced at the Vancouver Fringe Festival in 1996. In an expanded form it played at many of the most prominent theatres in Western Canada. Since then, the company’s work has been seen on the major stages across Canada as well as to theatres in the USA and UK. In 2002 he received the Governor General’s Award as a playwright for Unity (1918). It portrays the devastating effects of the Spanish Flu epidemic of 1918 on the Saskatchewan town of Unity, and explores what happens when fear takes hold of a community. Unity (1918) was developed while Kerr was playwright-in-residence at Touchstone Theatre in Vancouver during its 1999/2000 season, and premiered at Touchstone in 2001 at the Vancouver East Cultural Centre. Skydive received its premiere in 2007 at the PuSh International Performing Arts Festival in Vancouver. The show was developed and produced by Realwheels, a disability focused company based in Vancouver, in association with the Belfry Theatre in Victoria. Since its premiere Skydive has played at several theatres across Canada and toured internationally. With Realwheels, he also wrote Spine. For Carousel Theatre, Kevin adapted Pierre Berton’s Secret World of Og. Kevin was lead writer on the adaptation of The Score, a feature film for CBC Television, produced by Screen Siren Pictures. With Jonathon Young and Kim Collier he co-wrote Tear the Curtain! a film/theatre hybrid, presented in October 2012 at Canadian Stage in Toronto. He is working on a screen adaptation of Unity (1918) and recently had his play Studies in Motion filmed by Motion 58. Recently he co-wrote You Are Very Star, site-specific play for Electric Company in partnership with the HR MacMillan Space Centre. He is also writing for Circa 1948, a Virtual Reality Interactive Installation by Stan Douglas and produced by the NFB. Kevin spent three years as the Lee Playwright in Residence at the University of Alberta, and is currently an Associate Professor in the Department of Writing at the University of Victoria, where he lives with his wife poet Marita Dachsel, and their three young children. One of Canada’s most highly regarded playwrights, born in Montreal, Quebec , in 1954 and raised in the Roman Catholic faith. A graduate of Queen’s University with a B.A. in English (1976), and of the National Theatre School of Canada ‘s acting section (1979), she worked only briefly as an actor before beginning to write. She is particularly interested in the theories of Freud, and is more absorbed in the psychology of her characters than in their actions. All of her plays confront the horror and violence in modern society that is apparent to anyone who reads the newspapers or watches TV. She believes that everyone is capable of evil: there is within everyone “the other side of the dark.” Many of her characters live precariously on the margins of society, threatening to disrupt the “normalcy” of a “civilized” society. They act irrationally, unpredictably, from strong feelings and fears. Her plays are performed across the country in both official languages. Her first work, The Crackwalker (Theatre Passe Muraille 1980) grew out of her experience as a social worker with adult protective services, from monologues she wrote to express the character of a mentally challenged woman. It evokes the lives of dysfunctional and angry individuals in Kingston’s lower depths, struggling to find a sense of security. She has twice won the Governor General’s Award for White Biting Dog (1984) and the anthology The Other Side of the Dark (1989); and the Chalmers Award for I am Yours (1987) and Lion in the Streets (1991). Sled (1997), Perfect Pie (2000), and Capture Me (2004) all premiered at the Tarragon Theatre , the company with which she has had the closest links (all directed by Judith Thompson). Habitat played at Canadian Stage in September, 2001. Enoch Arden “by Alfred Lord Jabber and his catatonic songstress” premiered at the Toronto Theatre Centre in 2005, and is a radical stylistic departure from Thompson’s other plays: it is a musical based on a melodrama (1897) by Richard Strauss, in turn based on an epic poem by Alfred Tennyson (1864). Thompson places the characters in a Canadian half-way house for the mentally ill. In 2008 the Canadian Stage Company premiered Palace of the End (dir. David Storch ) on its Berkeley Street stage. It comprises a triptych of monologues about the horrors endured by individuals in Iraq, spoken by a young American soldier imprisoned for her misconduct in an Iraq prison camp; a British microbiologist and weapons inspector who reveals the false grounds for the British and American intervention; and an Iraqi mother who endures Saddam Hussein’s horrific regime and the American invasion. mother who endures Saddam Hussein’s horrific regime and the American invasion. Each monologue is inspired by real events and people, although the characters are imaginative creations. Such Creatures (dir. Brian Quirt) premiered at Theatre Passe Muraille in 2010, thirty years after her first play in Passe Muraille’s second space, The Crackwalker. In interconnected monologues, an Auschwitz survivor suffering from cancer, and an aboriginal girl from the urban jungle of Toronto, demonstrate courage and resilience in traumatic circumstances, their belief in a brave new world inspired by their love for the works of Shakespeare. In 2013, her new work, The Thrill opened at the Stratford Festival (dir. Dean Gabourie). A feisty lawyer and activist for the rights of the disabled protests against the “right-to-die” movement by throwing a cream pie in the face of its infamous spokesman, initiating an unlikely love story. Borne, which features all the actors in wheelchairs, opens at Soulpepper Theatre Company in 2014, in a coproduction with the RARE Theatre Company. Watching Glory Die, about chronically disturbed young women in the Canadian prison system, premieres at the Canadian Rep Theatre in May 2014 (dir. Ken Gass ). Judith Thompson has written many radio plays, including Tornado (1987), which won the ACTRA award for Best Radio Drama, and White Sand (1991). 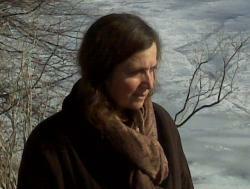 She has also adapted and directed Ibsen’s Hedda Gabler for the Shaw Festival (1991). In 2007 she was awarded the Walter Carsen Prize for Excellence in the Performing Arts. The $50,000 prize, administered and presented by the Canada Council for the Arts, recognizes the highest level of artistic excellence and distinguished career achievement by Canadian artists who have spent the major part of their career in Canada in theatre, dance or music. In 2008 she was awarded the Susan Smith Blackburn Prize for Palace of the End. This American award celebrates outstanding plays in English by women. Thompson has said of her writing, “I totally inhabit whichever character is talking…the story is just a costume draped over the characters.” She lives in Toronto with her husband and five children, and teaches at the University of Guelph.